Paul Byrne is the SVP of flynas, a position he took up in November 2014 following a three month term as Commercial Advisor to the airline. He has led flynas to its first two profitable years and overseen record growth in fleet, revenues and passenger numbers. Paul took one of the leading roles in the record breaking Airbus (120 Aircraft) 320neo order and the subsequent decisions on interiors and engine selection. Flynas has won the World Travel Awards Best LCC MENA for the last 4 years and Skytrax Best LCC MENA 2017. 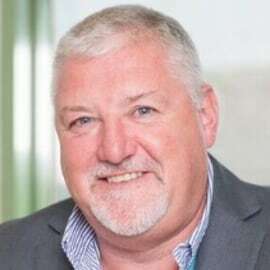 With a career spanning more than 35 years in the aviation industry, starting with Aer Lingus in 1979, Paul brings a wealth of wide-ranging experience to flynas, focused mainly on private consultancy in both the emerging low cost and full service airline sectors. Prior to acting as Commercial Advisor to flynas, Paul undertook short training assignments in Jeju Air Seoul South Korea and Precision Air in Tanzania. Before that he worked with the RM Team at Pegasus Airlines in Istanbul, Turkey, where through the use of a more analytical approach the team is now delivering increased revenues and consistently excellent results. Previously Paul completed two terms working with Airphil Express (now PAL express) in Manila, Philippines, where the focus is on delivering stronger more sustainable results. His contribution to Airphil’s success led to enhanced and more professional RM practices in the current Philippines Airlines (PAL). From April 2010 to May 2011, Paul worked as coach to the newly installed RM team at VIVA Aerobus in Monterrey, Mexico, achieving record levels of sales and yield. In this period there was also a brief training assignment with Webjet of Brazil to enable the RM team make the transition to the LCC model. Other assignments include Aero Contractors of Nigeria, where from March 2009 to April 2010 he led a team that developed revenue management, online sales, ancillary sales and onboard sales. From June to December 2007, Paul worked with Mandala Airlines in Jakarta Indonesia and prior to that with Air Deccan where the company went from 3% to 22% market share of the Domestic India market and ultimate takeover by Kingfisher Airlines. At the start of his aviation career with Aer Lingus, Paul held a large number of roles ranging from the cargo and passenger revenue accounts departments to interline billing and revenue management departments.